The festivities are in full swing at the Miller Place - Rocky Point St. Patrick's Day Parade! Featuring a blend of both winter and spring activities, March is one of the most diverse months here on Long Island. With the spring equinox on March 20th, there are a few weeks of winter left to enjoy all that Nassau County and Suffolk County have to offer. Then, with St. Patrick's Day on March 17th, there's no better way to march into spring than with a St. Patrick's Day Parade! Plus, during St. Patrick's Day weekend, there are a number of great events to enjoy that will allow you to have your fill of corned beef and cabbage! The month is just getting started from there, however, as a plentiful number of Family Festivals and Craft Fairs will keep families busy throughout the month. If you need to feel the beat, there are a number of Concerts and Performances that will have you dancing and grooving your way into spring! And if that release of energy isn't enough, be sure to participate in one of this month's upcoming Nature and Outdoors events. Clearly, there is no time to waste! Check out March's events below and prepare for a month of constant fun here on Long Island! A large number of Long Island towns will be celebrating Irish heritage with a series of highly-anticipated St. Patrick's Day parades! From Cutchogue to Westhampton Beach, tens of thousands are expected to gather at town parades in the days leading up to the holiday! 83rd Annual Huntington St. Patrick's Day Parade - FREE! 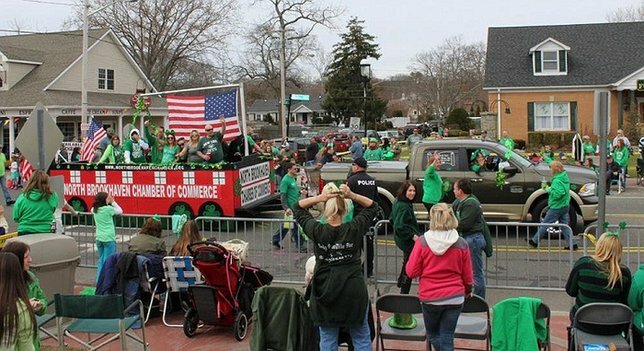 Not only is Huntington’s St. Patrick’s Day parade the oldest on Long Island, but with attendance expected at over 50,000, it’s also by far the largest. Revel in the collective spirit of the holiday with other Long Islanders packed into Huntington Village for one of the Island’s most popular yearly events. 67th Annual Miller Place/Rocky Point St. Patrick's Day Parade - FREE! Tens of thousands of spectators are expected at the 67th Annual Miller Place/Rocky Point St. Patrick’s Day parade, which features four full lanes of marching and terrific floats. 2017 Kings Park St. Patrick's Day Parade - FREE! Held on the first Saturday of March each year, the Kings Park St. Patrick’s Day Parade attracts participants and spectators from across Long Island for an afternoon of bagpipe bands and floats. Westhampton Beach's 50th Annual St. Patrick's Day Parade - FREE! 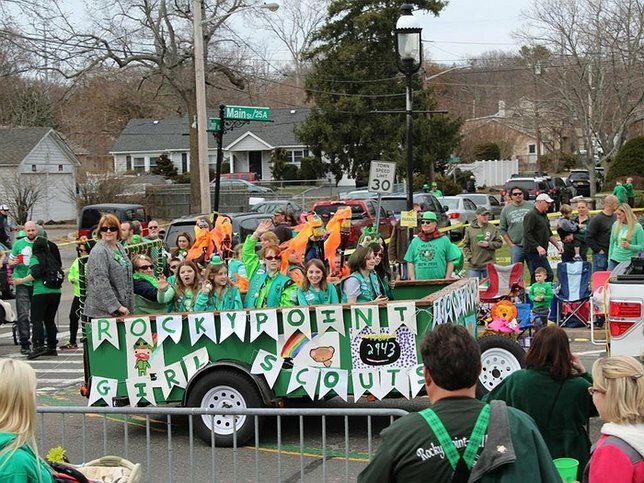 This year marks the 50th iteration of Westhampton Beach’s St. Patrick’s Day parade, which is a staple of March entertainment on the East End. St. James' 2017 St. Patrick’s Day Parade - FREE! Celebrate the luck of the Irish during this parade featuring fire trucks, floats, antique cars, marching bands and more as they head down St. James’ Lake Avenue to Railroad Avenue. 13th Annual Cutchogue St. Patrick's Day Parade - FREE! Get dressed in green and head out to the St. Patrick's Day parade in Cutchogue! All local Civic Groups and local Fire Departments are invited to participate. Moriches Chamber’s 2017 St. Patrick’s Parade - FREE! Secure your spot for this parade featuring floats, marchers and vehicles taking place within the Center Moriches community! 2017 St. Patrick's Parade of Greater Bay Shore - FREE! The Bay Shore Brightwaters St. Patrick's Parade Committee will be presenting the beloved Bay Shore parade on March 12th this year! The parade route includes 1.6 miles between Saxon Avenue and St. Patrick's Church. Ronkonkoma's 2017 St. Patrick's Day Parade - FREE! Head to Ronkonkoma on Sunay, March 12th, for a community celebration in recognition of St. Patrick's Day! The event will be centered around a parade that will march from Hiawatha Elementary School to St. Regis Knights of Columbus Hall. 13th Annual Hampton Bays St. Patrick's Day Parade - FREE! Beginning at the Hampton Bays Elementary School and ending at the Hampton Atrium, this St. Patrick's Day parade is a not to be missed event for those near and within the Hampton Bays community. Patchogue's 22nd Annual St. Patrick's Day Parade - FREE! 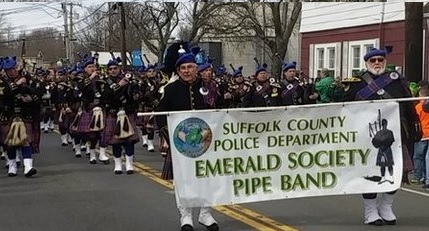 Following the May The Road Rise to Meet Ye 5K will be the 22nd Annual Patchogue St. Patrick's Day Parade featuring twirlers, pipe bands, dancers, fire trucks, floats and more! 21st Annual Rockville Centre St. Patrick's Parade - FREE! Have some fun while supporting a good cause during this annual parade that benefits National, Irish, and local charities! 2017 Montauk Friends of Erin St. Patrick's Day Parade - FREE! Welcome the spring season by making your way over to this East End parade that kicks off at the Montauk Fire Department! You don't need the luck of the Irish to find a fantastic way to celebrate St. Patrick's Day on Long Island! From restaurants to entertainment venues, St. Patrick's Day weekend is shaping up to be packed with cultural fun throughout the Island's towns! Puddle of Mudd, Saving Adel, Tantric, and O El Amor will be performing at The Emporium during this special St. Patrick's Day celebration. 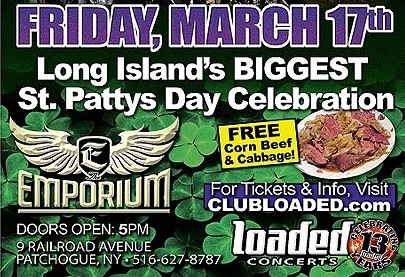 Free corn beef and cabbage will be served during the show. 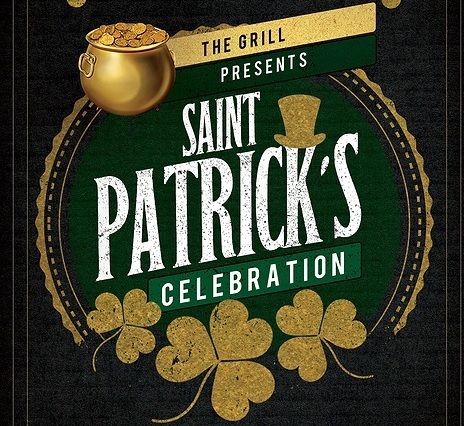 St. Patrick's Celebration at The Grill - FREE! The Grill in Hauppauge will be celebrating St. Patrick's Day with an exciting performance by Steel Breeze. Stop by for an evening of great music, Irish dishes, and great times with friends and family. Enjoy a night of hilarious comedy thanks to appearances by some of Long Island's most beloved comics. The show will take place in the historic Smithtown Center For The Performing Arts. Head to Houlihan's in Westbury for a gathering by the Singles Association of Long Island on the Saturday after St. Patrick's Day. The Library Café will celebrate St. Patrick’s Day on Friday, March 17 with a special Irish-themed menu and beer and shot specials. Indulge in a delicious selection of corned beef and cabbage, pastas, and pastries while enjoying a live performance by Vic D'Amore Dance Studio of Performing Arts. The Rotary Club of Seatuck Cove will be holding its 1st Annual 4-Leaf Clover 5K Race to help raise money for charities in the greater Moriches and Eastport areas. Patchogue's St. Patrick's Day Parade will be kicked off with a 5K Run/Walk for runners and joggers of all ages. Featuring a performance by the Screaming Orphans, the annual Taste of Ireland fundraiser is complete with raffles and a cocktail reception. Celebrate St. Patrick's Day by painting two pilsner glasses with four-leaf clovers at this special Paint The Town event. Enjoy the company of fellow singles at this holiday meet-up at Meadowlands Sports Bar and Restaurant. March isn't simply about St. Patrick's Day, which is why there are a plethora of festivals and craft fairs to look forward to! Celebrate the arrival of spring by heading out to some of the best seasonal events that Long Island has to offer! 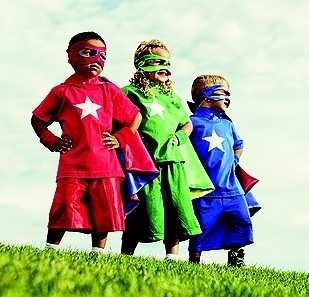 Grab your favorite superhero costume and head to the Kids' Carnival at Dave and Buster's to help raise money for the Diabetes Research Institute. Children and adults alike will enjoy an afternoon of bowling, billiards, video games, inflatables, and raffle drawings for great prizes. 15th Annual Community Summit Expo & Health Fair at Farmingdale High School - FREE! 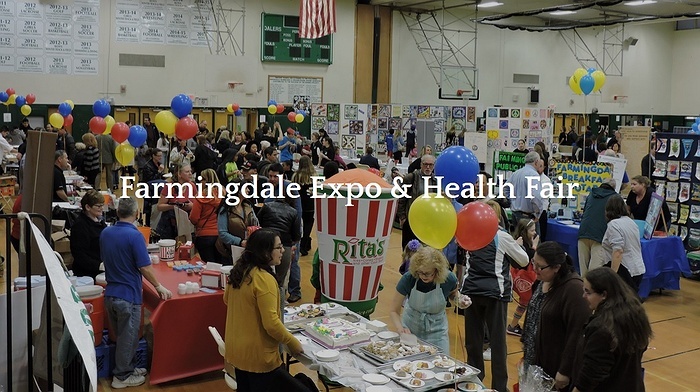 The Farmingdale Community Summit's Expo & Health Fair returns for its 15th year of showcasing the organizations and services that make Farmingdale an essential community for building careers and fostering business relationships. Lovers of all things Halloween will be thrilled to find that the holiday is coming several months early this year at Old Bethpage Village Restoration. 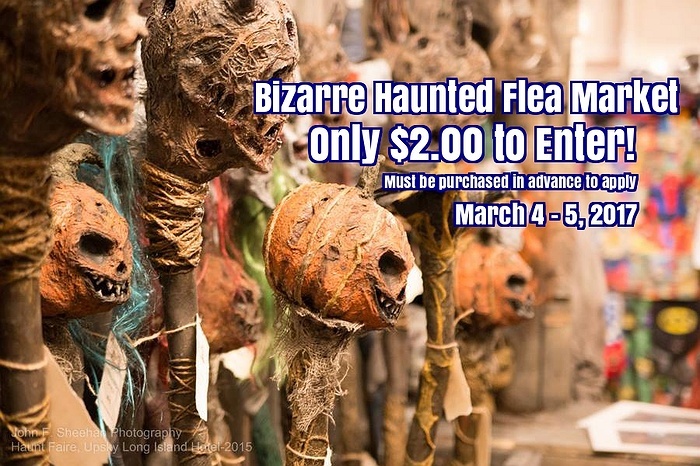 Attendees will be able to enjoy two days of haunted props, tarot readings, spooky items, and plenty more. Gourmet Food & Handmade Market at Smithtown Historical Society Brush Barn - FREE! Local vendors will be selling the tastiest gourmet foods as well as unique home decor items, handmade jewelry, and a variety of other great items. The event will also include a 50/50 raffle and door prizes to early customers. The Long Island Pet Expo will be returning to Suffolk Community College's Brentwood campus for three days of family fun involving animals. From entertaining shows to educational demonstrations, the event is ideal for all animal lovers and pet owners. Hofstra University's Irish Festival celebrates the best of Irish music, food, and culture through a community event that features live performances and plenty of vendors. The popular I-CON event returns to Suffolk Community College's Brentwood campus for three full days of media, gaming, movies, anime, literature, and everything pop culture. This year's Long Island LitFest will feature appearances by Dave Barry, Gail Sheehy, Kelly Carlin, Alan Zweibel, and other acclaimed authors during this unmissable events for literature enthusiasts. Craft Fair at West Babylon High School - FREE! 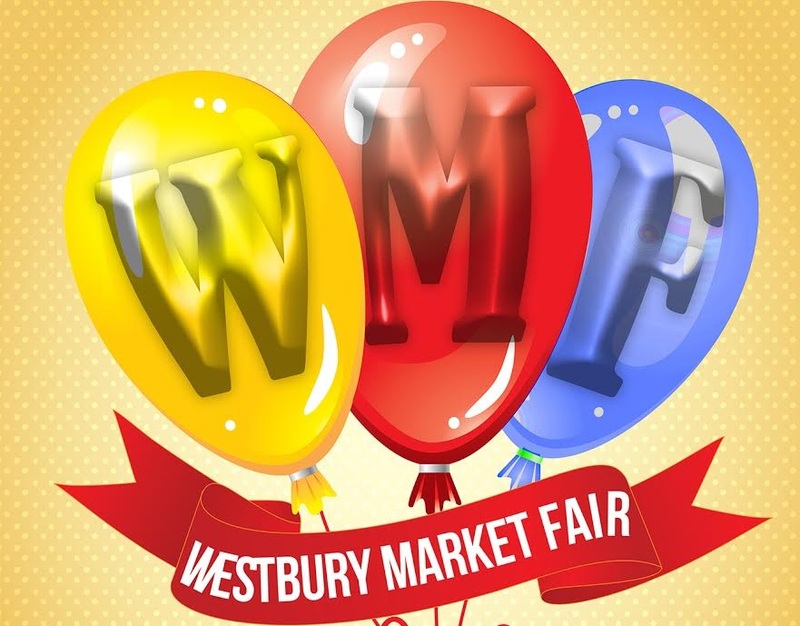 Vendors will be selling a variety of great items just in time for the arrival of spring at West Babylon High School's craft fair. Forty exhibitors from the tristate area will be gathering in Northport for a show dedicated to antiques, art, jewelry, home decor, and unique items of all kinds. Head to the Medford VFW for a collectibles show absolutely overflowing with the best crafts, souvenirs, jewelry, and collectibles for individuals of all interests. Featuring Long Island's most talented hairstylists and barbers, this unique event brings beauty enthusiasts closer than ever to trained professionals and an array of 30+ knowledgable vendors. Assist the Rotary Club of Seatuck Cove with collecting materials for their Annual Antiques & Collectibles Auction in the fall during this special appraisal event at South Bay Bible Church. Selden Spring Craft & Gift Fair at Newfield High School - FREE! Dozens of vendors will be gathered at Newfield High School to sell a variety of gift items during the spring sale. Spring Fine Art & Craft Fair at Art League of Long Island - FREE! More than 40 exhibitors will be at the Art League's 2nd Annual Welcome Spring Fine Art & Craft Fair, covering everything from paintings to photography. The Brookhaven Town Home & Garden Show, benefiting the Holtsville Ecology Site, features dozens of vendor exhibits including landscaping, garden centers, awnings, stonework, driveways, garden structures, sprinklers, and more. Keep your foot tapping all month long with a variety of concerts across Nassau and Suffolk Counties! Regardless of whether you favor melodic rock, classical music, or anything inbetween, there is a great concert (or several!) this monrh that are perfect for you! Los Cintron will be performing at Sangria 71's Commack and Williston Park locations for very special Flamenco Music Nights. 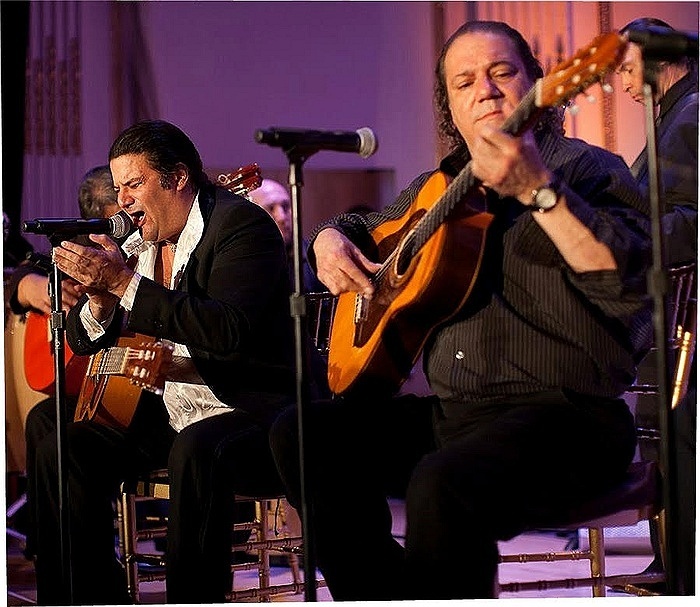 The two brothers were born in Spain and are now based out of New York City, where they regularly perform their unique blend of World, Latin, and Flamenco music. Brother Care Blues will be utilizing their musical expertise to deliver a memorable live set at Butterfields in Hauppauge. A night of unforgettable music can only be expected when Bruce Hornsby and Ricky Skaggs hit the Tilles Center stage. Butterfields in Hauppauge will come alive with the music of the Pickled Peppers Jazz Band, led by the sensational Ian Petillo on drums. Van Halen tribute bands Van Hagar and Bottom's Up will be performing at 89 North in Patchogue for an unmissable evening of rock from the 70s, 80s, and 90s! Mike DelGuidice will be celebrating his birthday with a terrific performance by the renowned Billy Joel tribute band, Big Shot. 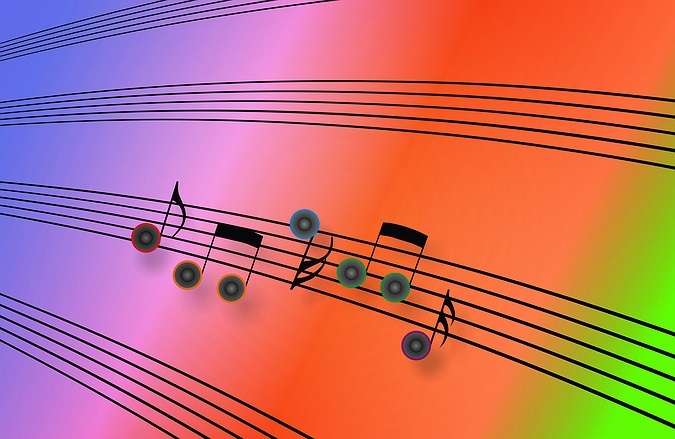 Bayard Cutting Arboretum's Winter Concert Series - FREE! Enjoy the serene sounds of classical music as renowned groups take to the Upper Carriage House stage this March. The Adelphi Symphony Orchestra presents an evening of music by Vivaldi and Bach directed by the acclaimed Christopher Lyndon. The Space at Westbury Theater will burst with the sounds of Long Island’s best musicians, Liberty DeVitto, Richie Cannata, and Russell Javors, whom Billy Joel hand selected to help create his classic hits and unforgettable tours. As part of the March of Madness Spring Tour, Memphis May Fire, BlessTheFall, The Color Morale, Sylar, and Bad Seed Rising will be playing to an enthusiastic audience at The Emporium. Taking the best influences from Motown, R&B, dance, concert, and show music, Rapid Fire regularly stuns audiences with an incredible attention to musical detail. The Senior Pops Orchestra at Huntington High School - FREE! The Senior Pops Orchestra will not only be performing at Huntington High School, but also playing with the school's orchestra as well. The program is set to include Beethoven's Symphony No. 5, the Best of the Beatles, The Empire Strikes Back, and other favorites. Enjoy a night of Bruce Springsteen and Billy Joel music with two of the hottest tribute acts around at the Theatre at Westbury. Attendees of The Emporium's weekly happy hour event will get an added bonus on Friday, March 24th as 45 RPM and Dear Prudence will both be performing. For decades, 10,000 Maniacs have been one of the premiere rock bands in the world, selling more than 9 million records around the world. Long Islanders will be able to enjoy the group's renowned live performance at Landmark on Main Street this March. Long Islanders will be gathering at Mulcahy's for an evening of live music, raffles, and an auction to raise money in Detective Brian Moore's honor. The incomparable Ann Wilson will be taking to The Space at Westbury's stage for an unbelievable set of Heart classics and solo tunes. Spring may not be arriving until the latter half of the month, but that doesn't mean you have to wait until the to enjoy the fresh air! Thanks to a number of hikes and educational workshops, there will always a reason to lace up your sneakers this month! Join CRESLI for their popular seal walks at Westhampton Beach's Cupsogue Beach County Park and enjoy the natural beauty of wintering seals. Visit Caleb Smith State Park Preserve for another session in the popular "Tiny Tots: Nature Discoveries" series. Children and adults alike will be thrilled by an evening of games and activities that will test outdoor skills and knowledge of nature. Riverhead Foundation's March Beach Clean-Ups - FREE! Cedar Beach, Fire Island Wilderness Visitors Center, Crab Meadow Beach, Ponquogue Beach, and Roanoke Beach will be part of the Riverhead Foundation For Marine Research and Preservation's beach clean-up events to keep Long Island shores looking beautiful. Visit Connetquot River State Park Preserve on March 4th for an educational session about evergreens and to make your own evergreen basket. 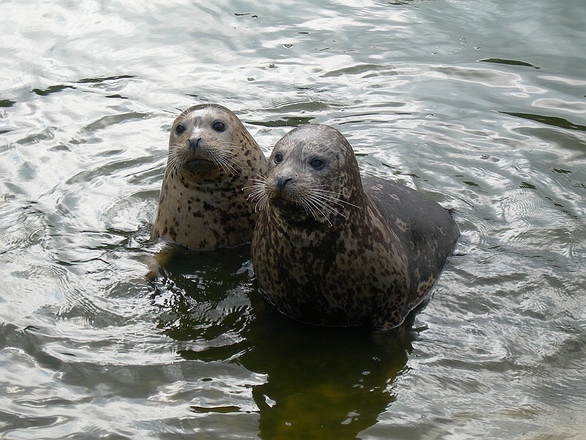 Enjoy a day on the water in search of wintering seals with Captain Lou Fleet. Trips are being held throughout the winter season and will last through April 2017. Children and adults are invited to learn about nature together in this hands-on program perfect for kids ages 3-5. Visit Sweetbriar to meet some nocturnal animals and embark on a walk into the darkness to enjoy the night and maybe call in an owl or two. Embark on a 17.5-mile hike on the Pine Barrens Trail as you keep up a brisk pace with other like-minded hikers. Old Mastic Bird Walk at William Floyd Estate - FREE! 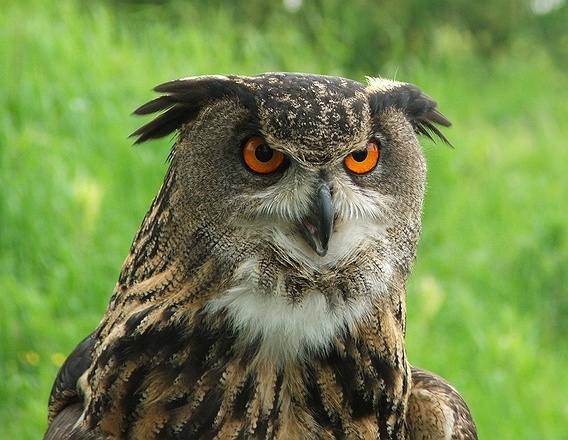 Join other nature enthusiasts as you search for a good variety of bird species found in different habitats of woods, fields, creeks and marsh at the William Floyd Estate. Burn some calories for your upcoming St. Patrick's Day meal during this 4-5 mile hike through Muttontown Preserves. Join Victoria Beckert for "Pallets in the Park," watercolor painting classes held this March and April at Bayard Cutting Arboretum. It may be the beginning of spring, but wintering seals are still resting on Long Island's shores, and South For Natural History Museum's Xylia Serafy will lead you right to them. My Yard, Our Sound Nature Friendly Landscaping Workshops at Flax Pond Marine Lab - FREE! The Maritime Explorium will be holding educational workshops to help homeowners learn how to create attractive gardens in their backyards. Hikers will be able to enjoy a 6-mile loop of Connetquot River State Park and enjoy the first days of spring on Long Island. Join other hikers as you go on a quick 7-mile hike through the trails and on the shoreline at Caumsett State Park in Lloyd Harbor. Though there is certainly no shortage of events to attend this March, Long Island has plenty of other entertainment opportunities that can be enjoyed on a daily basis! From enjoying local parks to staying warm with indoor entertainment, there is always something to see and do! Long Island has not experienced much snow this year besides Winter Storm Niko, but there are still a few weeks left for possiblw snow fall. Be prepared for snow fun by knowing where the best local sledding spots are! Instead of travelling to a Broadway theatre, take advantage of the fantastic opportunities for theatrical entertainment that are present in Nassau and Suffolk Counties! Hundreds of miles of local trails are just waiting to be explored! Enjoy the final days of winter and the first days of spring by heading out for a leisurely stroll or brisk hike on a Long Island trail! What Events Are You Most Looking Forward To This March? Subject: LongIsland.com - Your Name sent you Article details of "LongIsland.com’s March 2017 Family Fun Guide: St. Patrick's Day Parades, Family Festivals, Nature Events & More!"